**My New 5mm Vertigo Glass Inline Tube + LW Disc Diffused slide! 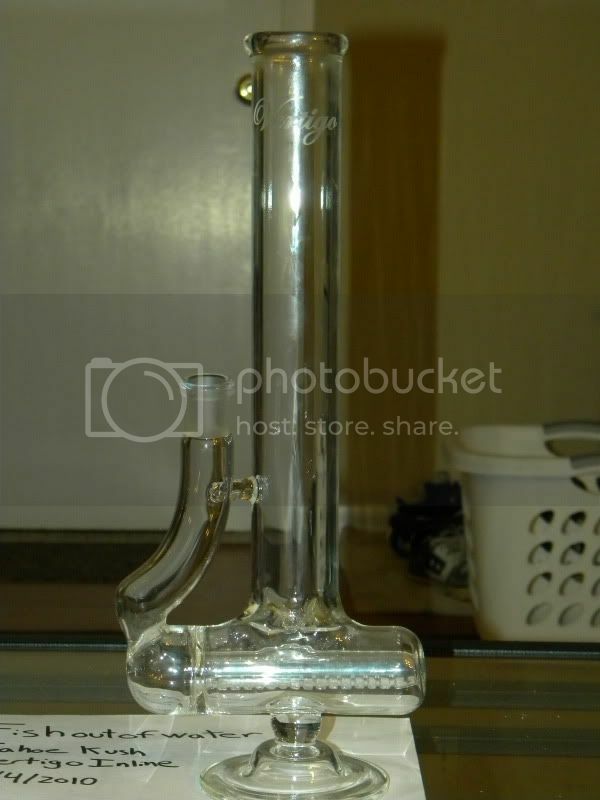 Discussion in 'Bongs, Dab Rigs, Bubblers, Water Pipes' started by Adam Bomb, Apr 23, 2010. So this is a late post but Wednesday (the day AFTER 4/20 ) my Vertigo inline tube and Luke WIlson disc diffused were sitting in a nice box on my door step. It's a 5mm thick tube that stands at 14 3/4" from the base to the top. 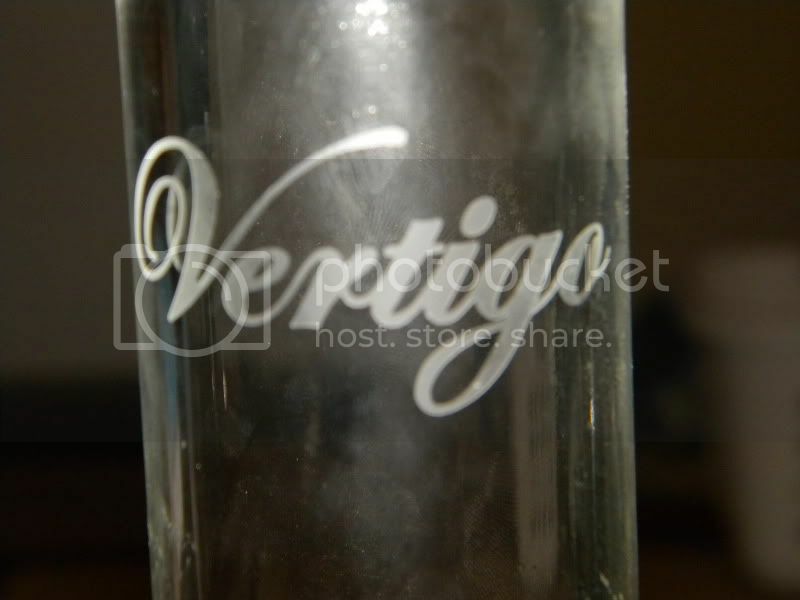 The joint is 18.8 and it has 15 flame polished slits and a sandblasted "Vertigo" logo. The guy I bought it from also threw in a Luke Wilson Disc Diffused slide. I'll try to get a milk up by today. This thing is the perfect hit every time!. I'm in love! Haha! I'm in love too! That thing is a monstrosity! How much did you drop on it? P.s. Hurry on that milk! Gotta love vertigo, I'm sure that thing stacks. :lol: Thanks dude. This is definitely a keeper. The milvid will be at the bottom of this post. Yeah yo I got bubbles up to about the top of the joint give or take. I love this tube!!!! I love it. 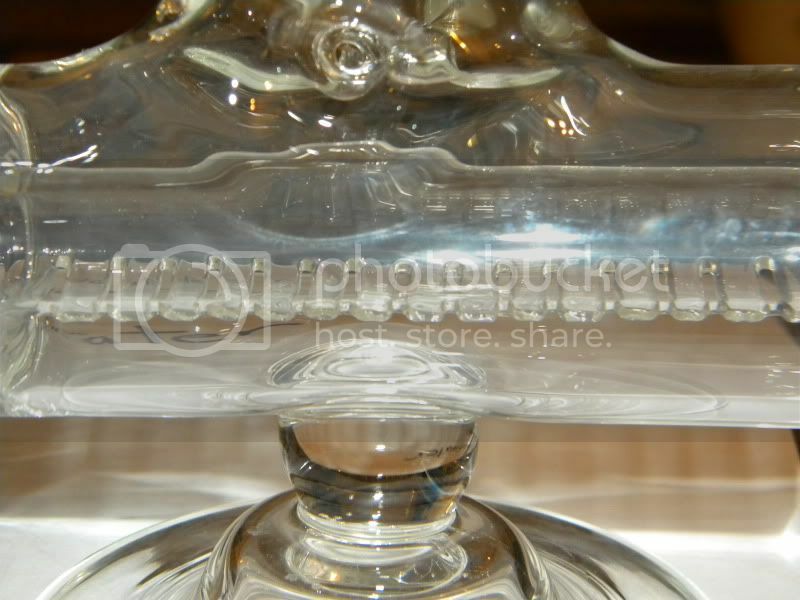 The airflow as great and it leaves the perfectly lit bowl every time. I feel like it's been saving me bud, too. that's such a sick piece dude. vertigo is killing it. I traded my Sheldon Black fixed-stem beaker and a Mike Fro push for the Inline and the LW. inline + LW disk diffused?